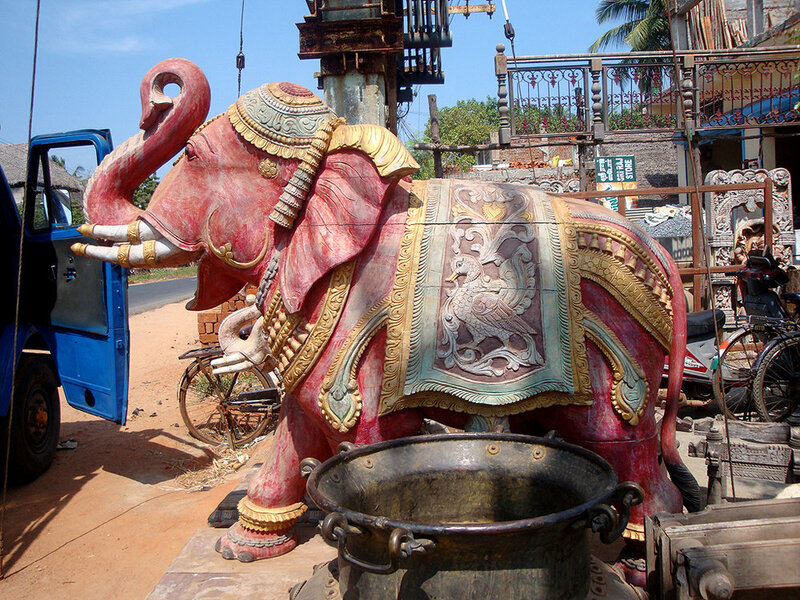 There are a string of antique stores on the East Coast Road (ECR) between Pondy and Chennai. Doors, pillars, cabinets, chairs, sculptures were arranged haphazardly all over the place. Although I can't vouch for their authenticity, you can find really interesting pieces here.